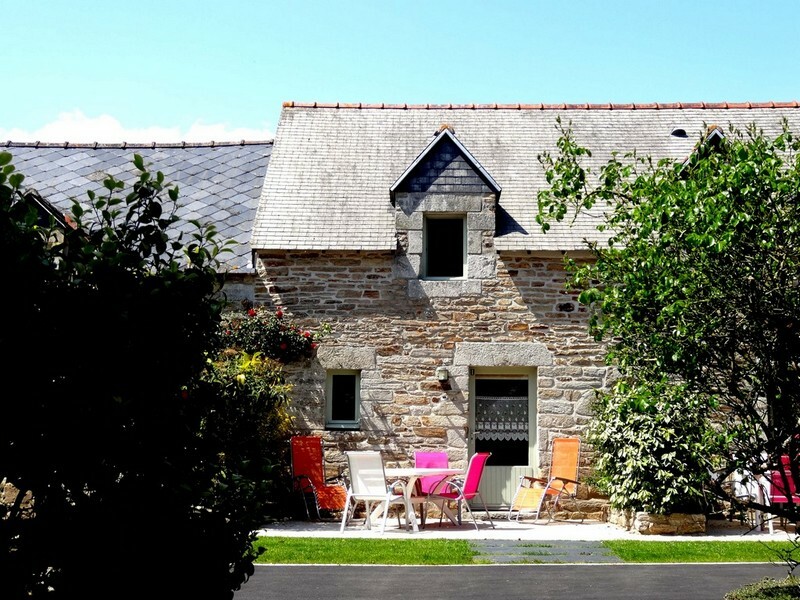 Gite adjoining another and a laundry room in a converted farm building. Gr.fl. : living room with kitchen area, WC. Upstairs: Bedroom1: double bed, Bedroom2: twin beds, bathroom. Electric heating, dishwasher, freezer, TV (DVD), linen hire, babysitting, WIFI. Shared washing machine + dryer in a separate building. Courtyard, lawn, shed, play area,garden furniture. 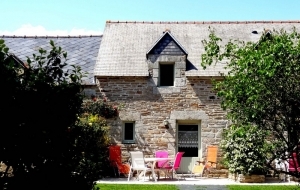 A pleasant, comfortable gite in quiet countryside near Fouesnant criss-crossed with footpaths. Plenty of space for children to play table tennis, table football, basketball and on the swings. 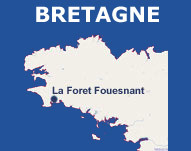 Many activities proposed in la Forêt Fouesnant. English spoken.